Sometimes, it takes a while to warm up to a new recording. But, that’s not the case with Moment of Truth, the new album by smooth jazz saxophonist Neamen Lyles. With this album, Neamen (he always goes by his first name) has created a work that you’ll find yourself becoming friends with soon after making its acquaintance. And, Neamen and his producing team have brought nearly two dozen talented collaborators into the mix to bring this recording to life. Moment of Truth once again puts Neamen’s gifts – compositional, performative, improvisational, expressive, and ultimately spiritual – into the spotlight in a way that few artists can accomplish so early in their careers. 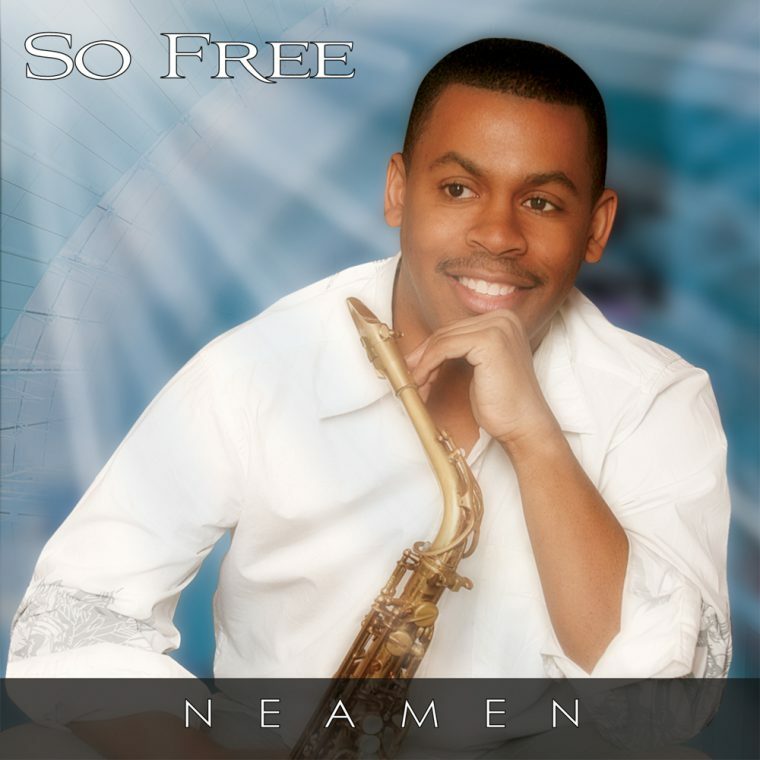 As with his first recording, So Free, released in 2011, Neamen has teamed up with veteran guitarist/ keyboardist/arranger/producer Jay Soto on this project. The result is a sound that blends a variety of contemporary genres – pop, funk, smooth jazz, hip-hop – into a supremely listenable and memorable work. 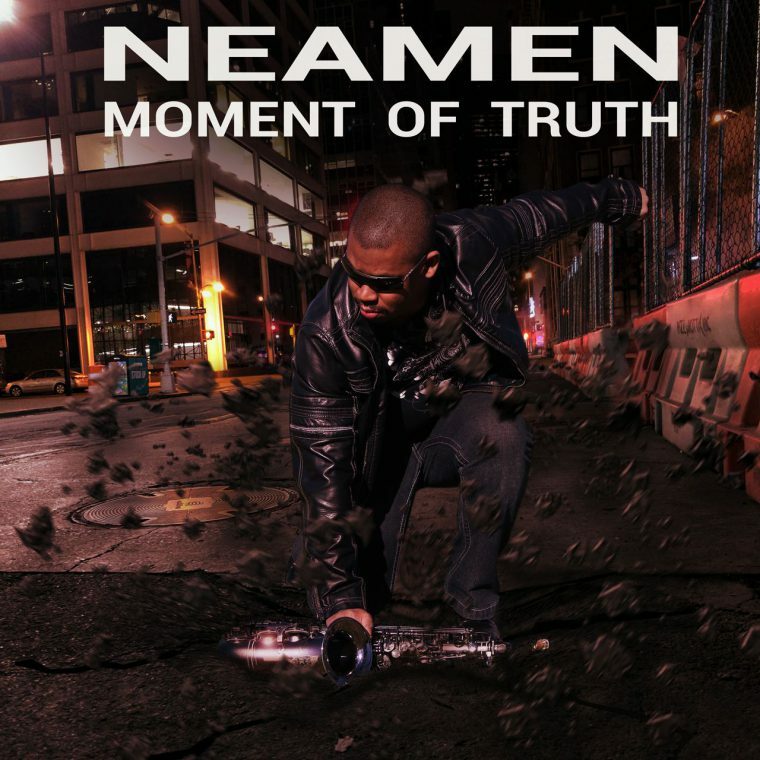 Moment of Truth boasts high-level production values, a fresh dynamism from track to track, and Neamen’s impressive skills as a soloist. Soto’s arrangements and producing expertise and a rock-solid rhythm section round out the album’s most obvious assets. Other instrumental contributors include guitarist Tom Gioia, organist Mickey B., bassist Mel Brown, and several other top-flight studio pros on horns and percussion. But there’s more than the instrumental excellence of the album to make it worth a lengthy get-acquainted session. On “Flash Back Rhythm”, Austin Carthell provides a powerful vocal and Neamen tosses in some sharp rap and an engaging sax solo, all embedded in a rhythm bed that’s reminiscent of some of the best work of Earth, Wind and Fire. I mean, this track really makes one want to get up and dance! With “A-Game”, Neamen offers a tune that’ll be a delight for hard-core smooth jazz fans, an optimistic melodic statement that gives way to some of the nicest soloing on the album, sailing energetically over an assertive rhythm track. “Generations” features vocalist Rachel Youngberg magnificently delivering a spirit-focused message, along with a tastefully reverent soprano sax accompaniment from Neamen. And, “Prelude for Strength” takes the listener in an entirely new direction, offering an engrossing piano solo by Jay Soto that sets the stage for “My Strength”. This track’s lead vocal by Eric Loveres beautifully captures a message of praise and thanksgiving, the spiritual basis of all of Neamen’s work. Another notable vocalist, Crystal Stark, brings her considerable talents to “This Love is Yours”, her voice beautifully conveying a story of love and devotion. On this track, Neamen performs a gently poignant soprano sax solo, and noodles alluringly alongside Crystal’s voice near the song’s conclusion. “To the Sun”, collaboratively penned by Carmen Taylor, Mark Dolin and Jay Soto, guides the listener to another musical destination, incorporating a kind of bare-knuckles guitar riff that seems to come at us from the world of near-heavy metal (for lack of a better musicological term), combined with an engrossing vocal by Steve Lane. Again, it’s hard not to want to move one’s body to the underlying rhythm driving this piece. And, there’s more to hear and absorb here. More surprises, more first-rate songwriting and studio production, more virtuosic sax soloing, more spiritually uplifting lyrics. It’s all very much worth listening to, again and again. Putting it simply, Moment of Truth, the second release from Neamen Lyles, represents a giant step forward – and upward – for this rising star of the saxophone.